Introducing Ladies Love Wine at BLVD. Seafood | BLVD Seafood | NOW OPEN! Looking for something fun to do on a Monday night? Come out to BLVD. Seafood for Ladies Love Wine Night! 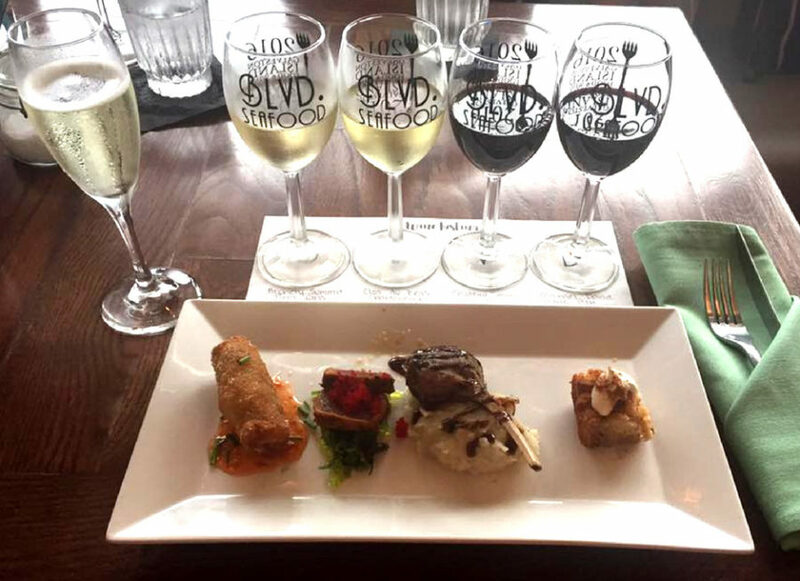 Every Monday, we will be featuring a four-course wine and food pairing. Chef Chris Lopez and Carrie Jones, our In-House Wine Expert, work together to create a wonderful pairing to feature for Ladies Love Wine. Men are welcome to participate as well. Reservations are recommended, as there are a limited number of pairings available.